A recent study pointed out that more than 50 million Americans are suffering from over 80 different sleep disorders. Some of the common effects of not getting enough sleep include a grumpy feeling as well as not giving in your best at work on the next day. Did you know that sleep deprivation is a serious issue that can cause bad consequences on your physical and mental health? Find out how a lack of sleep affects your body and mind in this article. Let us begin with a clear discussion on how not sleeping well affects your mind. If you think that staying up all night will not have a negative impact on your thinking, then you are wrong. While you are sleeping, the brain is busy cleansing itself of waste. This is in the form of proteins that will build up between the cells throughout the day while you are at work. The brain cells will actually shrink during the process to accommodate the volume of liquid that is flowing in and out of the brain. This appears to help in removing the waste. The cells will then expand once you have woken up. Serious sleep deprivation leads to a dampening effect on the brain cells. The neuron signals will often cause reduced skills, affects your reaction time and reasoning abilities. Here is a better explanation of the effects you expose your brain to, by not catching enough sleep. Sleep is critical and affects the brain’s ability to form and consolidate the memories. Moreover, sleep deprivation affects your ability to retrieve the memories the next day after waking up. When you are tired, it is also difficult to learn something new and paying attention becomes a difficulty. Sleep deficits will simply compromise your creativity and the ability to make decisions or even solve problems. In other words, sleep deprivation affects your performance at work. 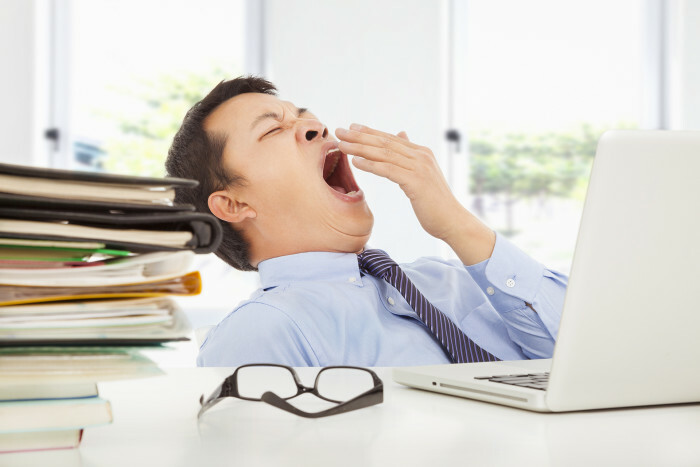 Are you getting enough sleep to ensure productivity at work? To determine this, get a good sleep calculator to gauge the quality of your sleep. Do you know that sleep and mood are closely connected? When you do not get enough sleep, you might feel tired and irritable the following day. Moreover, little things will get to you the next day after a night of poor sleep. If you are able to sleep well, your mood will improve. For people with severe insomnia, they are more likely to suffer from depression. These people are more likely to develop panic disorder compared to the people who get enough sleep. Research has shown that people with mood disorders have reported altered sleep patterns. Improving the quality of sleep will lead to a better mood every day. Therefore, if you have started feeling moody every morning, consider upgrading your bedroom to aid your sleep. A good idea would be a headboard with frame and a mattress from nectar mattress UK for that comfort every night. Your brains speed and level of accuracy are greatly affected by the quality of sleep. If you go for 19 hours without catching a good night sleep, your brains speed and level of accuracy will begin to deteriorate. This affects performance on simple tests and judgment ability declines. Sleep deprivation is one of the reasons long distance drivers cause accidents on the road. Their ability to make judgments while on the roads is poor. To improve your thinking and coordination, make sure you are getting enough sleep every night. Sleep deprivation does not only affect the brain. There are also serious effects on the body. Your body needs a good quality sleep in the same way it requires feeding to function optimally. While asleep, the body will heal itself restoring the body’s chemical balance. The body systems will also not function during periods of sleep deprivation. This will dramatically lower the quality of life. Here is a deeper look into some of the effects of sleep deprivation on your body. Consider the central nervous system as the information highway of your body. To keep functioning properly, sleep is very important. People with chronic insomnia experience disruptions on how the body sends information. This results in poor judgment and late decision-making. Therefore, consider getting enough sleep as a critical factor that enables a good ability to coordinate well. Sleeping helps the immunity system to produce protective and infection-fighting substances. The body uses these substances to combat foreign invaders like the bacteria’s and the viruses. They give your immune system more energy defending you against illnesses. The quality of sleep also affects the digestive system. Sleep deprivation comes with similar effects of eating too much. Sleep also affects the level of Leptin and Ghrelin that control the feelings of hunger and fullness. Leptin is the hormone that tells your brain when it is time to eat. If you experience sleep deprivation, the brain reduces Leptin and increases Ghrelin, the appetite stimulant. The flux on these hormones explains the nighttime snacking and it is the reason why people tend to eat later in the night. Therefore, not sleeping well will lead to obesity. Getting adequate sleep is closely linked to a fully functional respiratory system. If you experience a nighttime breathing disorder, it will disrupt your sleep. This also lowers the quality of sleep. If you stay awake all night, you leave the respiratory system more vulnerable. Therefore, we can see that a night of good sleep is very important for a healthy mind and healthy body. You need to be in a good state of mind and healthy to perform optimally at work.